Albania Holidays organized the folklore tour with a group of tourists from different countries. 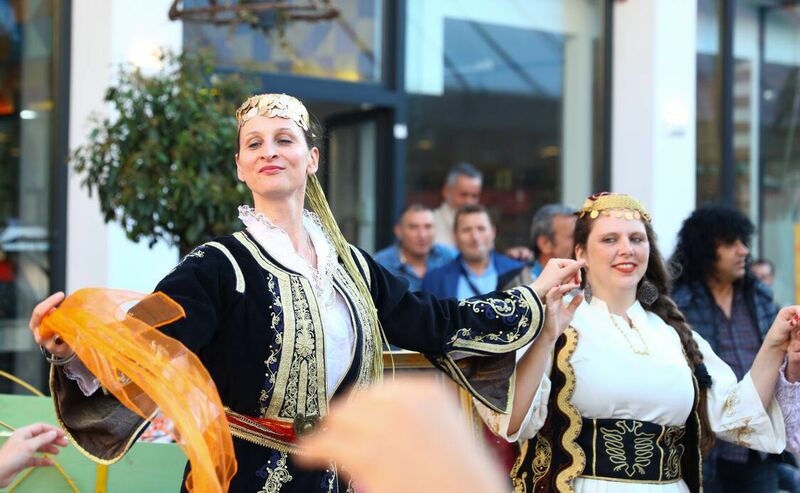 This is one of many groups that we as Albania Holidays offer the Folk Tour , which is one of best-selling and most memorable tour we provide. Watching tourists dancing our traditional dances was really impressing. They seemed to have fun a lot while learning our dances and folklore. It was amazing to see the New Bazaar (Pazari i Ri) transformed into a fantastic arena. It doesn’t happen often to see a French lady dancing having a “progonishte dance” and a Spanish lady dancing a “Tropoja dance”. 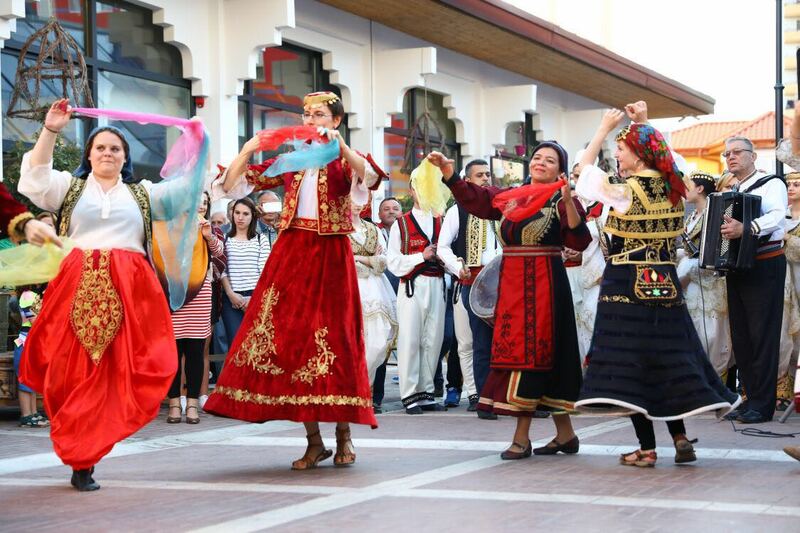 Citizens of Tirana joined the party and they dance together with Nathalie Cauqil, Marie Pascale and Marie Formaux from France, Julieta Souza and Juliana Lorenzoni from Brazil, Simona Jovic from Serbia, Anne Myntti from Finland, Olalla Moya, Marta Cuevas from Spain and Heather Serginia from USA. “First of all, I wanted to thank you one more time for the perfect organization ! We enjoyed a lot this trip and it is also thanks to you and your team ! 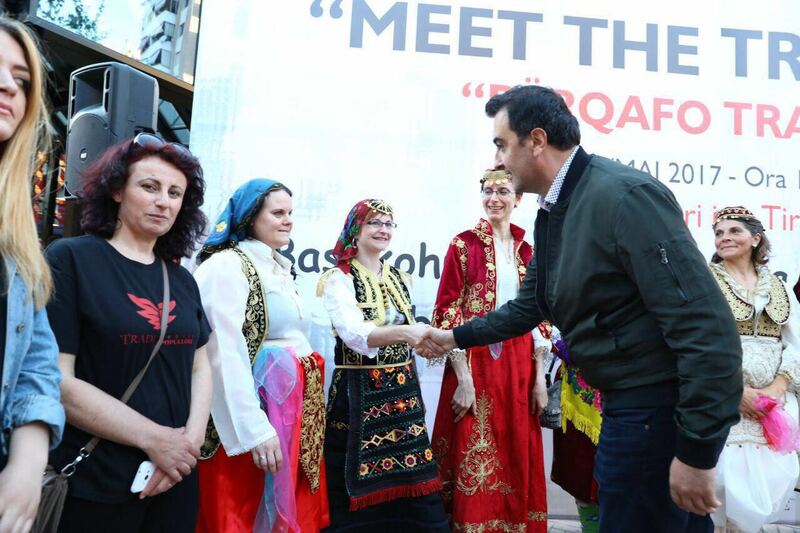 Everyone fell in love with your country and we will definitely talk about Albania to all our friends ! It is so worth of visiting. I will recommend your agency and your country and when I come back to Albania, I will of course contact you again. So again, THANK YOU, THANK YOU, THANK YOU !”- Simona, the tour leader, wrote to Albania Holidays.